Normally, we tend to try the copy and paste work to synchronize the files in between two PCs. However, this task is one of the much tedious tasks. Now, here is the helpful administration tool namely FileMyster which makes this job done easily. FileMyster is a freeware with which you could manually or automatically synchronize all data between two folders or two computers. This administration tool supports media files such as movies, music files and other documents. You will find the following features in the FileMyster administration tool. • You will be able to configure every slot individually with infinite slots. 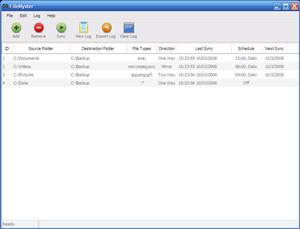 FileMyster is very useful application and it works well on Windows Server 2003, XP, Server 2008, Vista and 7. Use the following two links to download FileMyster.